A few years ago a lady breeder expressed strong views on ear-cropping in her breed yet bred from stock which carried primary glaucoma. I suspect that her dogs would prefer cropped ears, however painfully executed - and it is, to blindness and an early death. Perhaps kennel-blindness should be bred out! Far too many breeders of pure-bred dogs will happily sign a petition to stop ear-cropping or tail-docking but will not take the time to complete a health survey form for their breed and then sign it. The Kennel Club has long been the easy Aunt Sally for the moaning members of breed clubs, at times rightly so. But I am full of praise for the KC's increasing efforts to attempt to survey the genetic health of pure breeds registered with them. Support for their attempts to do so is, sadly, poor. In 1999, the KC sent out a survey to create a database of existing breed club health committees, to indicate the need for guidelines for clubs to follow and, importantly, to focus attention on health issues by listing current health priorities. The survey went to 700 registered clubs and societies. 460 responded, a rate of 66%, representing 77% of the 148 breeds the KC recognises. But whilst 88 breeds have some form of health surveillance, only 13% have a health committee, only 27% have a health/welfare coordinator and only around 20% of all breed clubs have some form of health surveillance in place. That surely is unacceptable. Is it true that 70% of collies have CEA? Do 50% of Cavaliers have heart trouble? 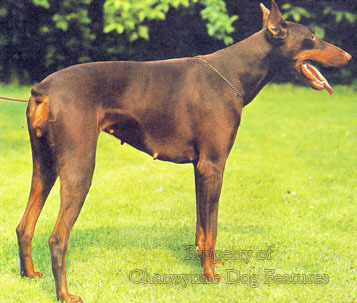 Are 70% of Dobermanns carriers of Von Willebrand's? Will all small white breeds one day suffer from 'white dog tremor syndrome'? 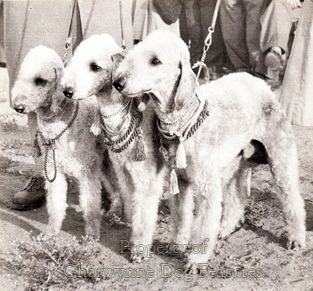 Why do all three varieties of Poodle have a genetic predisposition to idiopathic epilepsy? Is the problem of cataracts increasing in Australian Shepherds? What are the underlying causes of calcium oxalate uroliths in five different Toy breeds? Is Cushing's Disease becoming more prevalent in older Boston Terriers? Is overgrowth of footpads going to become a future problem in Kerry Blue Terriers? Are there any Boxers free of heart murmurs? Veterinary surgeons acknowledge that there is no official way to discover which diseases are prevalent in companion animals. If that is so, and breed clubs don't care, how on earth can we fight disease in the domestic dog? 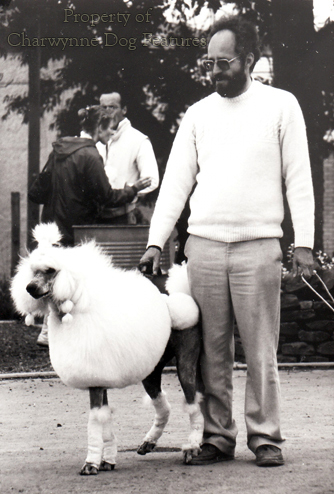 There are of course breed clubs which have made laudable efforts to combat problems in their breeds. The quick and decisive action of the Alaskan Malamute Club of America reduced the rate of dwarfism in their breed to zero per cent. The water storage problem in the Portuguese Water Dog in America was successfully overcome. I applaud the work of the Bedlington Terrier fraternity in tackling the copper toxicosis problem in their breed, which involved the University of Utrecht. Some individuals in the Boxer world here have worked really hard to combat axonopathy in the breed. Keeshond breeders here tried hard to fight epilepsy in their breed. The Golden Retriever Breed council has a commendable awareness of inheritable problems in their breed. The Kennel Club will not now allow carriers of CLAD to be registered - a hugely significant precedent. 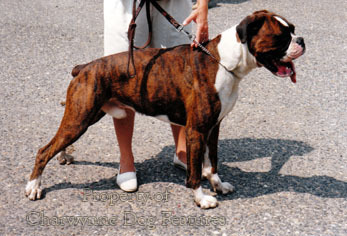 Insurance companies too can contribute data; of 2,500 claims for tumour treatments, Boxers and Dobermanns led the field. I'm not aware of any research into head gland disease found to be most frequent in Gordon Setters and Dachshunds, suggesting that the condition is hereditary. One study actually carried out in Sweden on cataracts in Westies, discovered that 49 of the 97 inter-related dogs studied were afflicted. 35% of the affected dogs were younger than 6 months. When I asked a Westie breeder at Crufts about this study he professed never to have heard of it. International cooperation is vital in this fight; every Westie in the world originated here. Breeder awareness comes second only to breeder honesty. Within every breed there is concealed knowledge about breeds, lines of breeding and certain kennels. There can be no moral justification for such concealment. The Kennel Club is at last trying to lead the way over combating dog's inherited ailments or predispositions to conditions. The Animal Health Trust works nobly. But I suspect that in every breed of purebred dog there are inheritable flaws being concealed, hushed up or just plain ignored. This is wholly irresponsible and morally reprehensible. The reporting, recording and collating of data on dogs' genetic problems must become the leading priority of every breed club permitted to be registered with the KC. 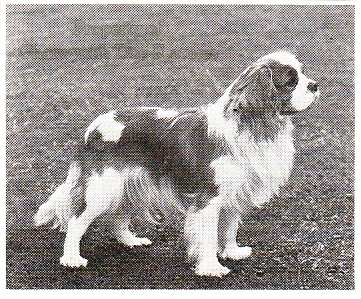 If a breed club seeks registration with the KC, so that it can run shows for example, then wider responsibilities must surely accompany such a right. There's only a tiny difference between the words 'dog care' and 'don't care' but a huge difference in impact.